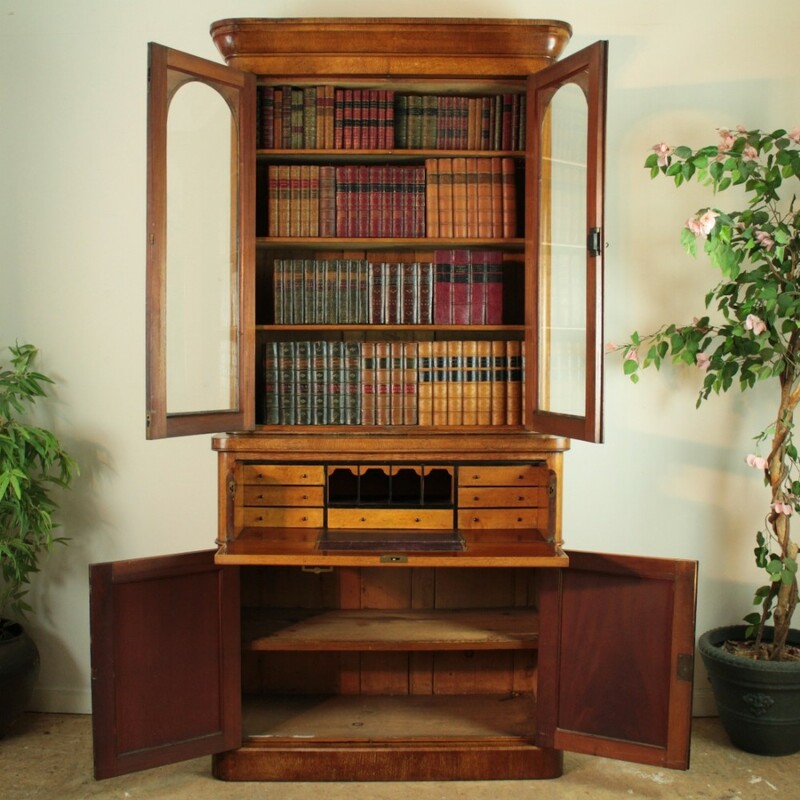 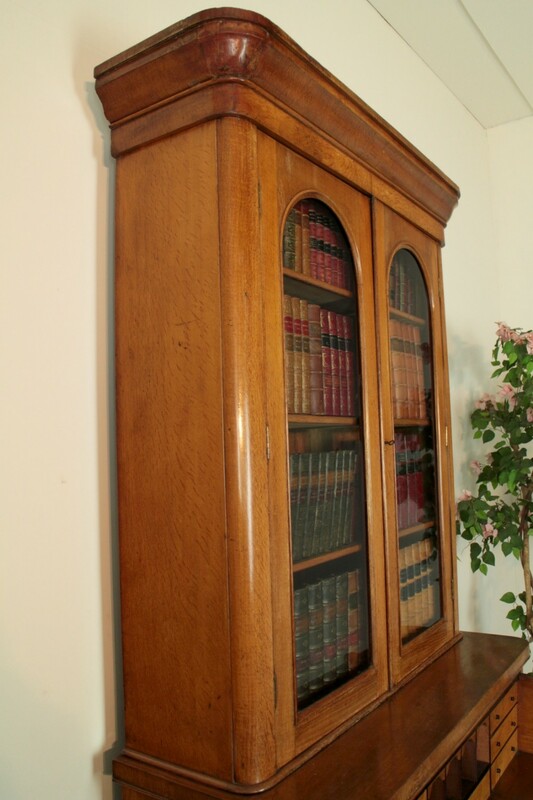 An attractive Victorian secrétaire bookcase veneered in golden quarter-sawn oak and of rounded corner design. 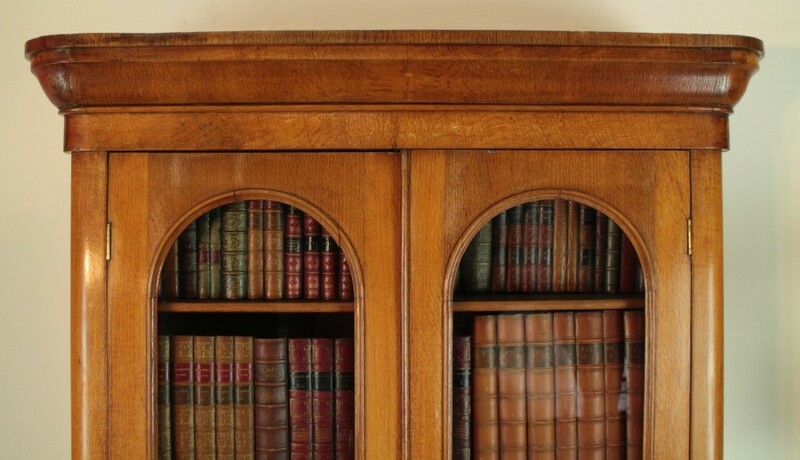 With a moulded cornice above a pair of arched glazed doors enclosing three adjustable shelves. 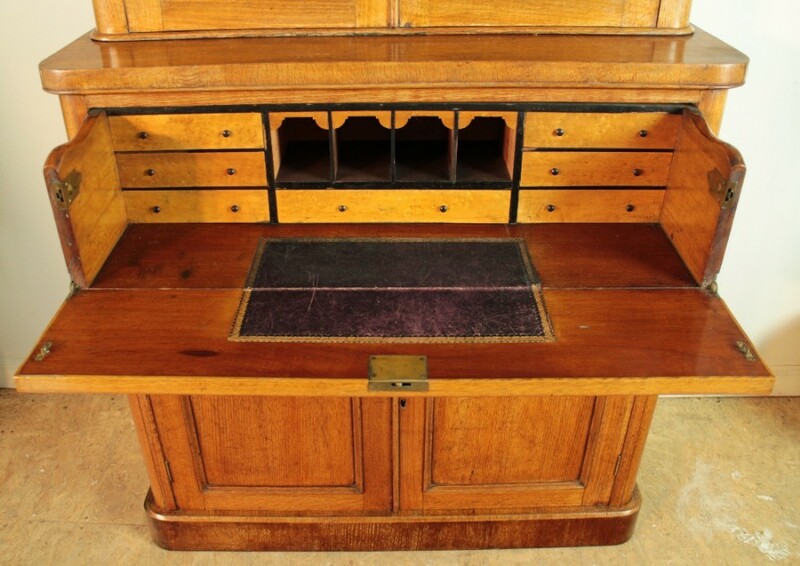 The secrétaire drawer with a birds-eye maple interior comprising drawers and pigeon holes and the flap inset with a burgundy and gilt tooled leather writing surface. 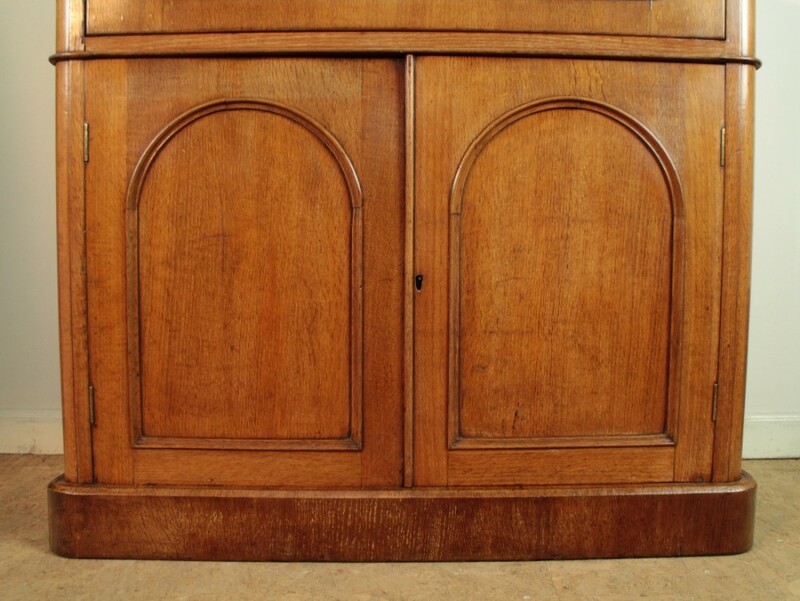 The two arched panelled doors below opening to reveal a cupboard with shelf, all standing on a plinth base. 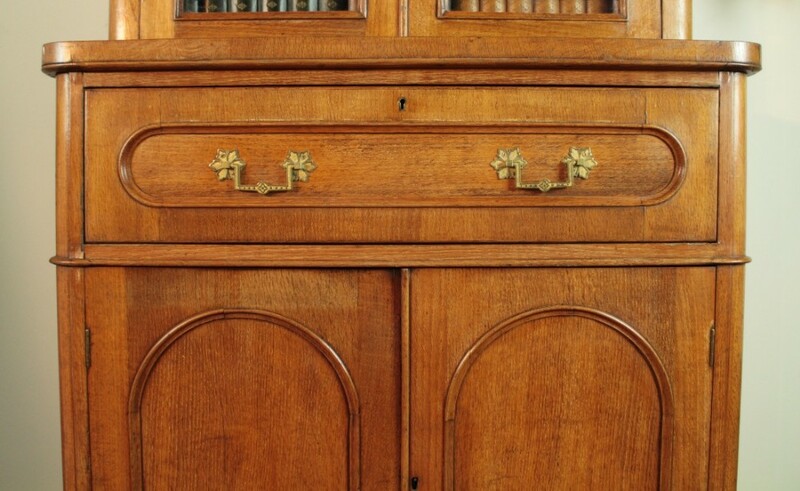 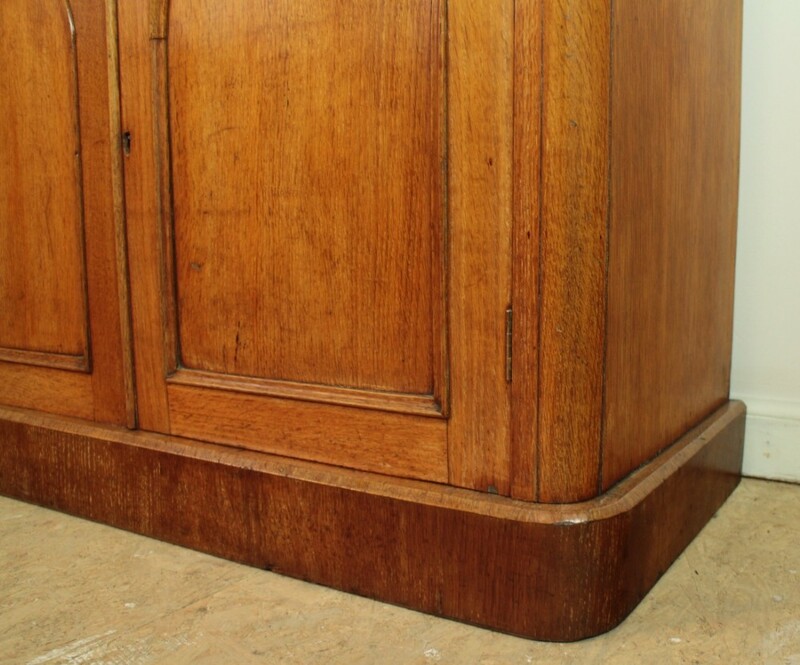 In good solid condition, it has slight losses to the veneer above and below the right glazed door, there are surface marks and dark lines as expected for age and a few spots to the top side above the secrétaire drawer. 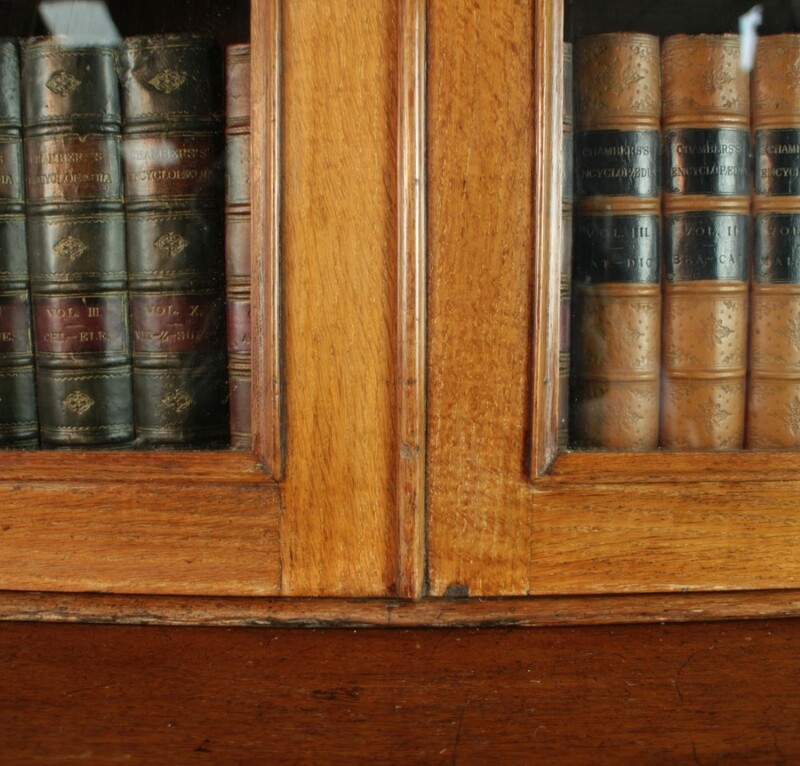 There is a faded strip above the arch on the lower left door. 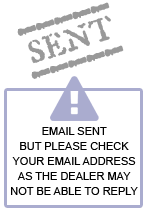 There is only a key for the upper door lock (as this lock has been replaced) and the keyhole liner is missing on the base. 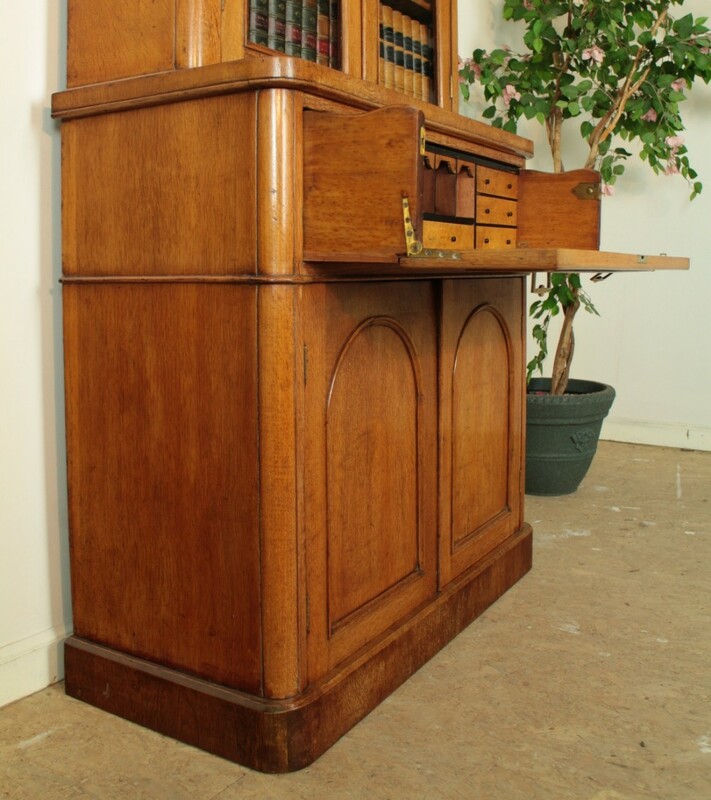 For transportation and moving the top section lifts off the base. 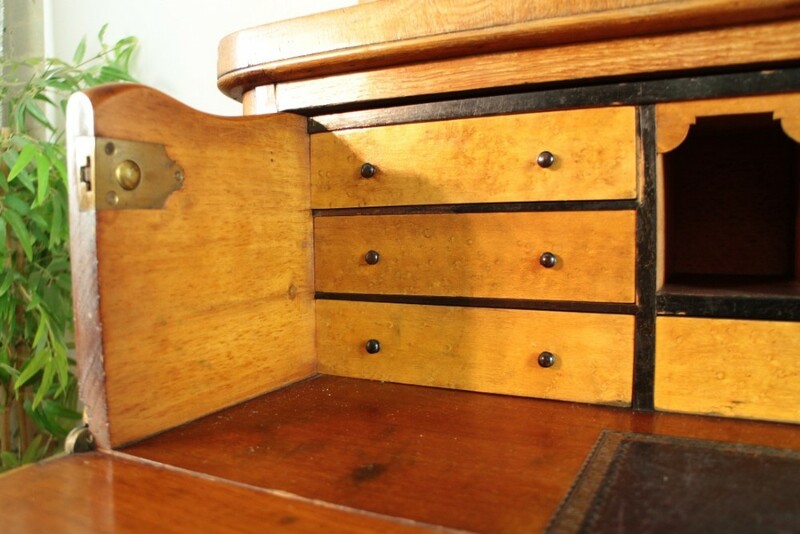 Delivery can be arranged to most UK mainland destinations for £125. 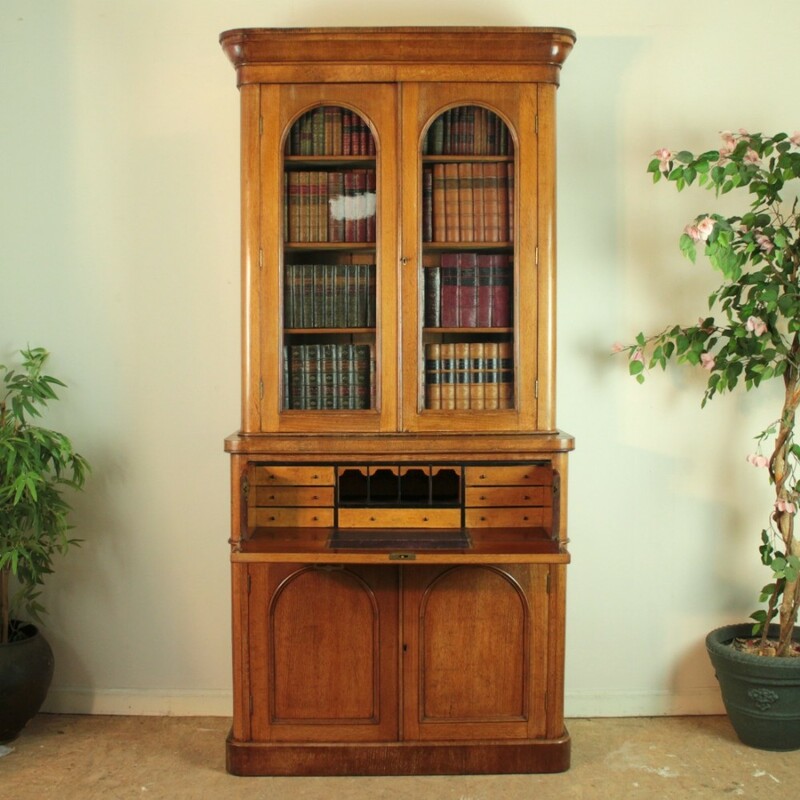 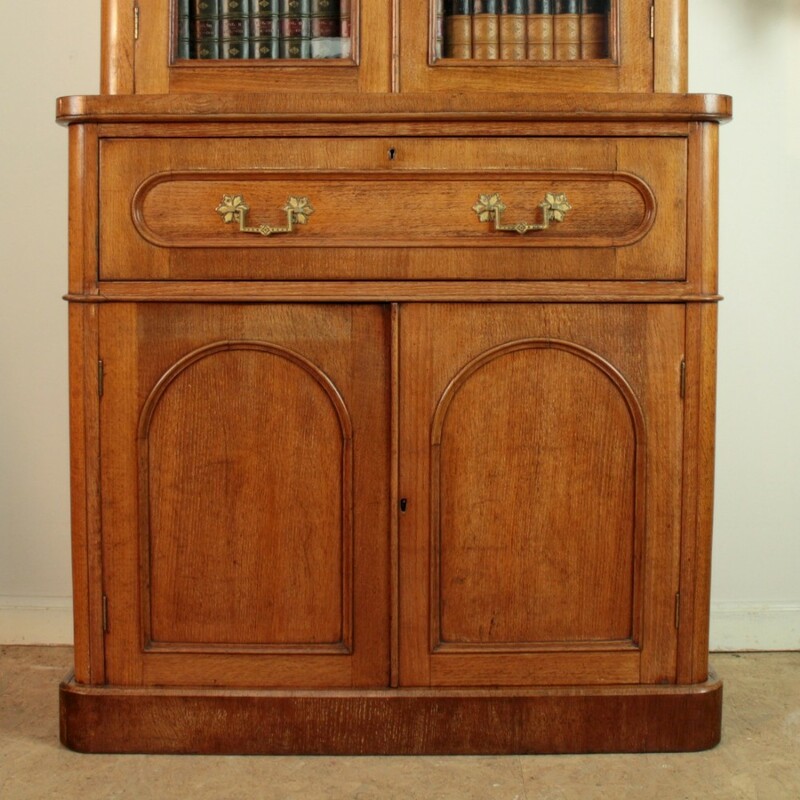 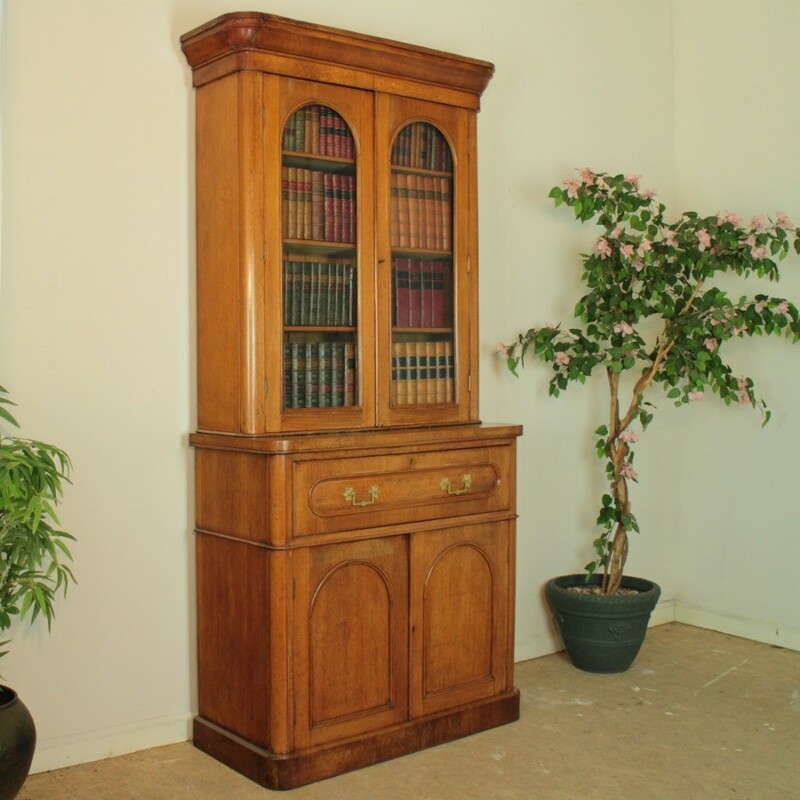 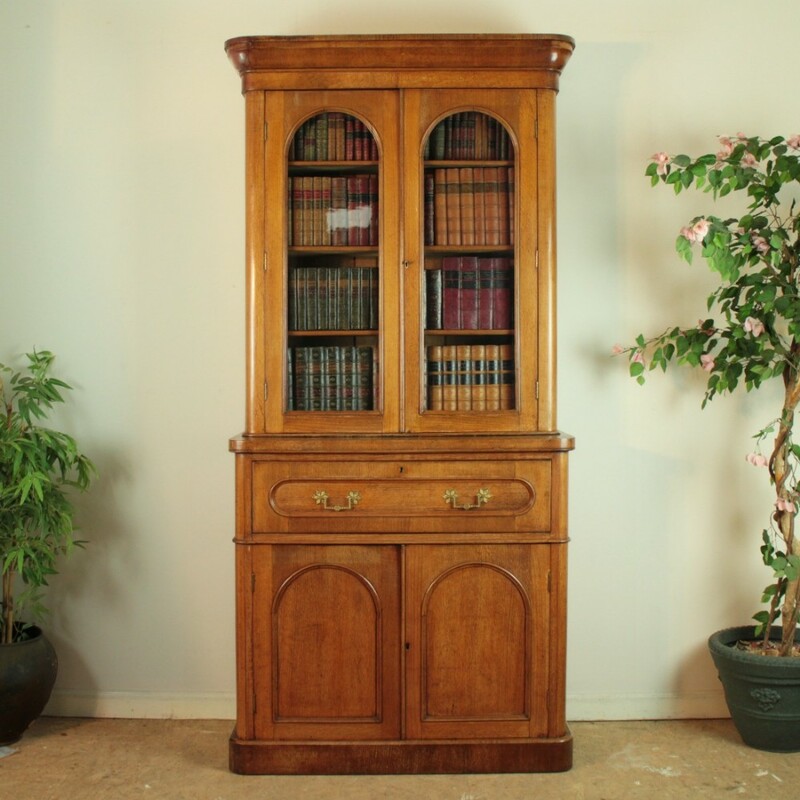 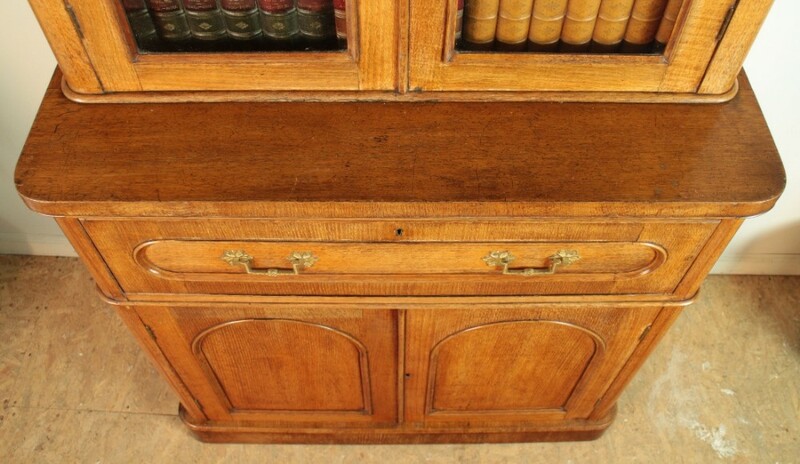 The Antique Victorian Oak Secrétaire Bookcase has been added to your saved items.